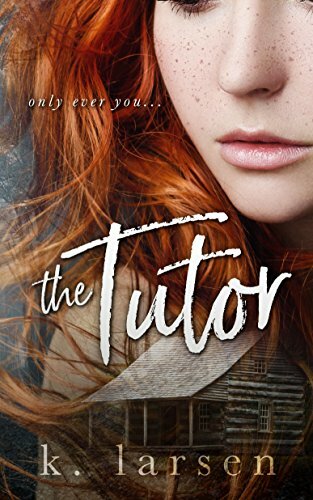 Oh yes, this was a super-sneak peek since “The Tutor” is still in editing as we speak. Yep. Not even a pre-order OR a book cover to be found yet. But K. Larsen knows my love for her darker, more psych-thrillery stories, and sent me a super-early copy all for my very own. And when I found out the premise of this, editing or no editing, cover or no cover, pre-order or no preorder, I WANTED TO READ IT! ONLY ONE CAN SURVIVE THIS LOVE. Not the cover… but this author sure knows how to tease us! Trigger warning: all of them. This will not elicit warm fuzzy feelings. So here’s my short and sweet “pre-review” since I won’t be adding any in any of my favorite parts and quotes just yet (who knows what it’ll look and “sound like” once editing is complete), but I’ll review it properly when it’s ready. Another teaser provided by the author and oh yes… I remember this thought. It was so good. Had all of the darker elements we “dark-romance” lovers crave when reading something totally NOT healthy, but intriguing nonetheless. Stressful, worrisome (and emotional) in all ways. It had reasons, it had mystery, it had scary-parts, it had terrifying parts, and it was ominous as heck all the way through. It kept me guessing, as I was coming up with all sorts of plausible (and implausible) twists (although K. Larsen has been known to really blow our minds with implausible becoming totally plausible). I had a few endings already mapped out. Did it end how I expected it to? NOPE. *snort* LOL! And that’s not a spoiler, ’cause this author is unpredictable so who knows WHERE she’ll take you. Well… I mean… I know. 😉 But my lips are sealed. And while this is not a romance (obviously with that teaser-blurb), it certainly was strong on the “love story” aspect (despite this being an unstable and completely unhealthy kind of “falling in love” if you know what I mean). Eeeeeeeeep!!!! This one goes there. Yet, it also engaged my humanity for ALL involved, and I truly connected to the main character, as difficult as it was on me to “be her“. Multiple POVs and a past and present look into how the heroine ended up in the physical, emotional and mental state she’s in, with all the players in her current life moving into play and giving the reader a complete, multi-faceted perspective on her current reality. 4 stars for the story as a whole (including my enjoyment and distress over it), but then… the author told me a secret. OMG. I can’t tell you the secret but you WILL find out, and that very secret bumped up my enthusiasm and excitement over it, up to 4.5 stars. Wow! I dont often do these types of stories, but this sounds fascinating!! Mommmm, Maryse is teasing us! *stomp, stomp, stomp* It’s a good thing that I love you! haha! I need this book in my life! *snort* You crack me up, Grey!!! !